On the heels of HSBC Direct’s decision to reduce the APY on their savings accounts, we’ve decided to moving our savings elsewhere. In this case, elsewhere is (gasp!) Bank of America. Based on the amount of money that we’ll be moving, we’ll be sitting in the 5.01% APY bracket, so I’m quite happy with the rate of return. The branding options include charities, colleges and universities, and sports teams. Note that only some of these options actually offer the money market account, so you might need to click around a bit. The real trick here is to find the account info – it’s not easy! 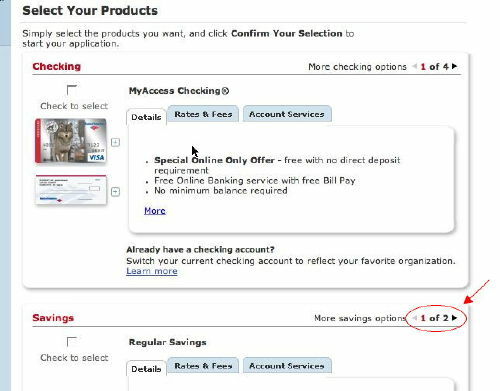 Once you’ve selected a program (click on “Shop for Products“), scroll down to the savings account option and then click the arrow to go to page two (see below). Word to the wise… Be sure not to select the Balance Rewards Money Market, which offers a much lower rate of return. In our case, we opted to open a “Defenders of Wildlife” account. 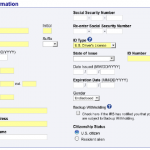 Since we already have accounts with Bank of America, all we had to do was enter our login information and they auto-populated the application form. Just a few clicks later our application was in, and we’re now waiting hear back from them (for some reason they didn’t auto-approve our application – I’m not sure if this is standard practice). The beauty of this account (aside from the competitive APY) is that consolidating our savings at the same bank where we hold our checking represents a huge step toward simplifying our finances. We’ll now be able to view a larger chunk of our financial life via a single login, and transfers amongst accounts are instantaneous. This isn’t to say that we’ll be closing our other savings accounts. Rather, we’ll just draw our HSBC Direct account down to a dollar and leave it open in the event of future rate fluctuations. This is what we’ve always done, so we also have dormant accounts with ING Direct and Emigrant Direct. After all, once an account is open, getting the best rate involves a just a few clicks of the mouse. That being said, the rates listed above already reflect a reduction in response to the Fed’s recent interest rate cut, I’m hopeful that we won’t be looking for a new home for our money anytime soon. Its now Dec and rate has been lowered again to 1.48%. At this rate ,they’ll likley be charging me to borrow my own money soon. It really gets old playing games with B of A.
Frank: That’s because this article was written back in Sept 2007. Rates have fallen at all banks since then. The rate you found is current. At this point, they’ve fallen behind typical online banks, so you might want to look at something like instead if you’re looking for a higher rate. I could not find the B of A account you make reference to above that pays 4.90%. I went thru everyone and the most I saw was 2.37%. I went thru eveyrone and the most I saw was 2.37%. Can you lend anymore help. “extended hold times” at 11:00p on a friday night and she said they always have extended hold times because they won’t hire enough CSR’s to do the job correctly. I can’t speak to the banking side, but the credit card operation is the worst in the business. Chase won’t waive a fee anymore either, but your issues are handled quickly and efficiently and the website is fast and intuitive. If you value your time as much as your money, it’s been hard to beat Chase and ING. It looks like BoA just now lowered the rates.. $10k gets you 4.61%. Still better than the 4.5 at HSBC, but not as good as the 4.75 it was a few minutes ago. Strange. A way to get around the 6 item withdrawal limit is to use the ATM. Those transactions are unlimited. I always use the ATM to transfer money from savings to checking. It also verifies this on my order money market checks. Thad: We do have some funds in the Vanguard Prime MMF. However, that’s not FDIC insured. All else being equal (rates, etc.) I’d prefer to have FDIC backing rather than not. While I don’t expect Vanguard to fall on hard times, the insurance is there for a reason (just ask NetBank customers). As far as simplification goes, having all of our money in one bank (BofA) is far simpler than keeping our ‘active’ savings somewhere else as we’ve been doing in recent years. This is especially true if we can earn a decent rate at our brick & mortar bank. Why not just go with one of Vanguard’s money market funds? VG Prime (VMMXX) is a consistently high performer, and you don’t have to jump back and forth between online savings accounts as they adjust their yields. I did this a while back just to simplify my life. I also keep a large chunk of cash in my checking account at http://www.presidential.com that is currently yielding 4.00% APY (down from 4.5%, though). I also have the online 4.89/5% savings with Wamu. The best part it’s free and there is no minimum to get this rate. The only thing is you have to link it (or open) a free Wamu checking account. Since Wamu’s checking is free (even get free checks too–and okay patterns, not just ugly ones), it’s a good deal for those of use who don’t have high amounts (yet) in savings. That being said, I have had headaches with Wamu. I had a bad headache with BoA but at least they did take care of the problem easily. I think BoA and Wells Fargo were on the top ten consumer complaints list abc news had. I was sorta surprised Wamu wasn’t on the list as well. The BoA rates have dropped again… albeit by two-onehundreths of a percent. I am still at FNBO direct – 5.05% after promotion ends, but I am considering Countrywide Savings they promise 5.5%, and 5.75% on an year CD; min balance 10K. What do people think about Countrywide? I heard that they had some subprime troubles, but they claim it is not a problem for savings. Did you see BOA’s 4 month CD? I moved my money from ING to that last week, because it’s offering a nice 5.45% rate…(I just checked the website and it looks like it’s 5.35% now. Still not too shabby if you don’t need access to your cash for a few months. HSBC drop was huge. Igobanking only dropped .13% from 5.3% to 5.17% now. i think 5% or greater will be a rare thing in the near future, especially if the fed drops rates again next month. I just wanted to let you guys know that Bank of America is has an affinity account that is linked with AAA mid-Atlantic and is giving a rate of 5.04% APY. I have had this account for months and as long as you have over $10,000 there is not fee. Here is the rate schedule. familyfinanceguy: Yes, full amount (as far as I know). freecia: The six withdrawal limit is a federal mandate, not a BofA policy. All savings accounts are subject to this limitation, although different banks choose to deal with it in different ways. I’ve seen this offer appear all over today, after HSBC announced their rate decrease. People forget to mention that this bank account only allows 6 transactions a month, online/over the phone. I think there’s a fee for everything over that. It doesn’t matter that much, to me, but it may matter to others. We have a free checking account with Washington Mutual. 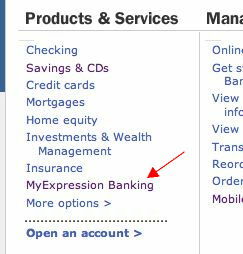 We also opened an on-line savings account with them a while back, to act as an overdraft buffer (I’ve never overdrawn an account, but after reading about ever increasing overdraft fees and other insuidous bank practices, I decided this was a good idea). WAMU currently offers a ‘relationship’ rate on its on-line savings account when tied to one of their checking accounts … currently at 4.89% APR / 5.00 APY for Illinois customers. So, I think I’m going to ACH out savings out of HSBC direct and into WAMU for the time being. Thanks for the heads-up on HSBC! Just to clarify, do you get the interest rate on the whole amount, or do you get each rate for each amount? 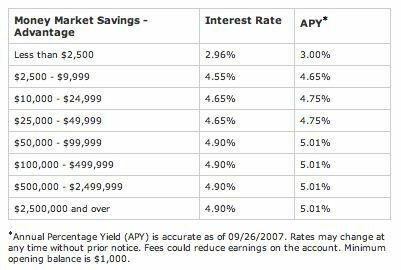 In other words, if you invested $50,000, do you get 5.01% APY on the entire 50k, OR do you get 3% on the first 2,499, 4.65% on the next 7,500, etc.? It’s not a huge difference, but it is a difference. I’m surprised to see Bank of America with such good rates on their savings accounts. I would have suspected lower APY’s, especially on the $10-24,000 range. Will have to look into it. Given the quick reactions to move money based on these rate cuts, it may be that these high yield savings accounts may become a no option part of the competitive landscape for internet banks. Reminds me of what happened to the airlines when they introduced frequent flyer miles to stimulate traffic back in the early ’90s. Now they can’t kill off the programs. Robert: We already have accounts with them, so we know what to expect. I actually like the web interface, and haven’t had any problems with it (yet). We also have a good relationship with a personal banker at our local branch, so I’m not terribly worried dealing with customer service. In fact, I was blown away to walk into a corporate behemoth like Bank of America and have him greet me by name as he passed through the lobby – this after having met us once a couple weeks earlier when we opened our account. As for their 1-800 customer service, the few dealings I’ve had with them have gone smoothly (knock on wood). I can’t recall the hold times, but we only rarely need them so it’s not a huge consideration. That’s an excellent attitude when it comes to dealing with mega-companies. Get ready for the worst customer service experience of your life. The website is a pain in the neck. The hold times are up to ten minutes at 10:00pm on a saturday night, and the tier one CSR’s are unlikely to fix your problems if it involves more than a statement balance inquiry. On the upside, they offer monthly cash specials for opening credit cards….the most recent being a University of Iowa alumni card (no, you don’t have to be an alum) which payed $250.00 after the first 250.00 was spent. I don’t get angry anymore, I just have them pay me monthly for my troubles.